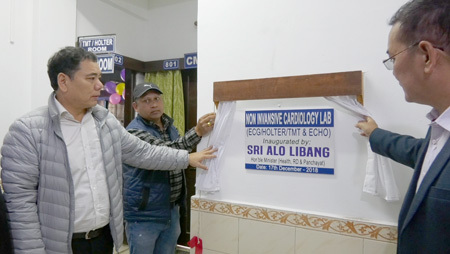 ITANAGAR, Dec 17: Health & Family Welfare Minister Alo Libang inaugurated the noninvasive cardiology laboratory at Heema Hospital here on Monday. The laboratory also houses ECG, TMT, Holter and Echo facilities. The minister commended the hospital for delivering healthcare to the masses, particularly the needy ones, and said the state government is focusing on the health and education sectors. “The coming up of the Tomo Riba Institute of Health & Medical Sciences, the state’s first medical college, is a matter of pride for Arunachal Pradesh. But it is still in the development stage. Therefore the role of private hospitals is very important to improve the health sector,” Libang said. He said the opening of the cardiology laboratory at Heema Hospital would immensely benefit the people of the state. 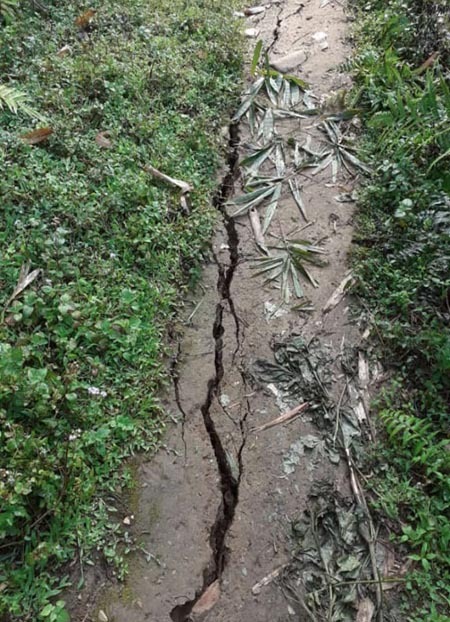 Heema Hospital CMD Dr Byabang Rana said the hospital has been treating patients and catering to the people’s need for quality healthcare ever since its inception in 2003. He said the hospital also organises health awareness camps at villages and urban areas of the state. Cardiologist Dr Rinchin Dorjee Megeji, medical superintendent Dr Kesang W and senior gynaecologist Dr S Ahmed also spoke. Earlier, Libang visited several wards of the hospital, interacted with the patients, and distributed fruits.